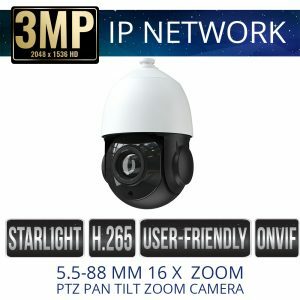 IP Network PTZ Security Cameras are powerful tools that allow the user to control pan, tilt and zoom abilities of the camera lens thru the remote interface options or video surveillance NVR. 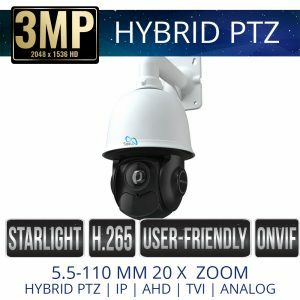 With high definition video your PTZ Security camera is able to cover a large area and capture quality details including license plates. PTZ cameras control have the ability to move 360 degrees up, down, left, right and zoom. 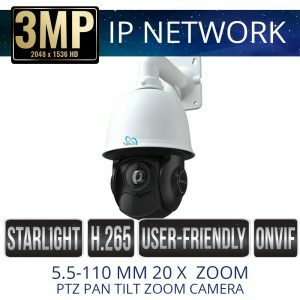 Sibell IP Network PTZ security cameras are compatible with ONVIF NVRs and are a perfect pair with our Sibell Network Video Recorders.